One of the biggest frustrations that dentists face is the time and energy taken up with non-clinical business matters. 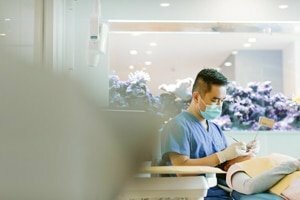 Whether it’s staffing and HR or bookkeeping and BAS requirements, vast amounts of time are taken away from the core concern of the business—dentistry. That’s not to say that the non-clinical aspects of a dental practice are unimportant—they are vital. But is it a wise use of a dentist’s time and skill to look after the business side of things? Dr Hoang ‘Patrick’ Dang always believed there was a better way. He developed his dentistry skills at a practice in Newcastle, New South Wales, for two years after graduating at University of Sydney. But before long, he returned to his hometown of Sydney with a vision for a new concept. Taking over what was once the Blockbuster video store in the Nokia Building in Harris Street, Pyrmont, he worked with his builder to design his debut practice. The waiting room is a large, open space with comfortable lounges and armchairs. A coffee machine, massaging chairs, a white modern coffee table, televisions and a PS3 for the kids are freely available. There’s also a fridge and microwave and the natural colour palette is calm and contemporary. They are even thinking of adding more things to make the space feel more homely and less formal. They have looked at Bazaar Velvet luxury rugs and pictures they can put on the wall to do this. 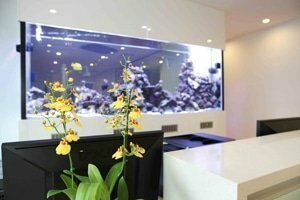 The 3.6-metre-long fish tank is the focal point of the practice. The focal point of the room is a huge saltwater fish tank. This 3.6 metre by 90cm marvel is full of coral, starfish and vibrant ‘Nemo’ clownfish. The serene but ever-changing underwater landscape is constantly filmed by a video camera that streams a live image to a television in the waiting room. The surgery utilises the latest technology for both dentists and patients. While in the chair, patients love watching their favourite DVD on the overhead television through wireless headphones. With Dr Patrick Dang concentrating purely on the dentistry and Le looking after the business aspects, word of this amazing practice soon spread. Business boomed and within two years, the entrepreneurial colleagues were looking at opening another practice. They found premises at the Macquarie Bank office towers near King Street Wharf. The lease was signed in August 2009—exactly two years after opening their first practice. ‘Fish dentist’ Dr Patrick Dang. Sydney Dental Health finally opened its doors in March 2012. Once again, the business was quickly successful with clients unanimous in their love of the laid-back waiting room with an over-sized fish tank. Recently, Dr Dang and Le have now taken on their third practice in the MLC Centre, a Harry Seidler-designed skyscraper in Sydney’s CBD. 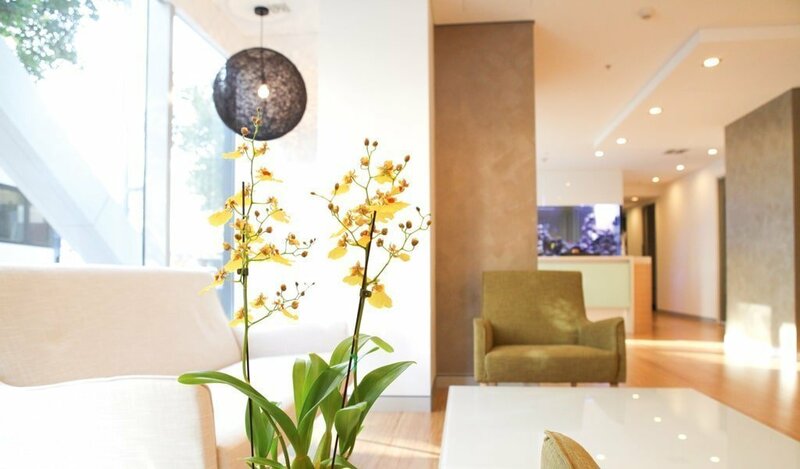 A part-time dentist at the Pyrmont practice, Dr Todd Verner, was already working at the MLC Dental Centre. When the principal dentist decided to sell, Drs Verner and Dang went 50/50 in the business. They took over in May last year and have just finished the renovations in the waiting room. New flooring, a paint job, an array of comfortable furniture and a massive saltwater fish tank are now all in position. Re-branding is taking place and soon Martin Place Dental Health will open its doors. Next articleAged care: what does the future hold?